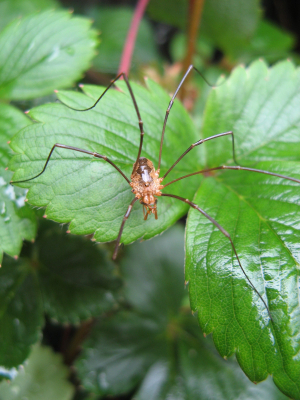 Observation - Harvestman (Opiliones Phalangium) - UK and Ireland. Description: This one has lost a leg, but carries on regardless. This one has lost a leg, but carries on regardless.